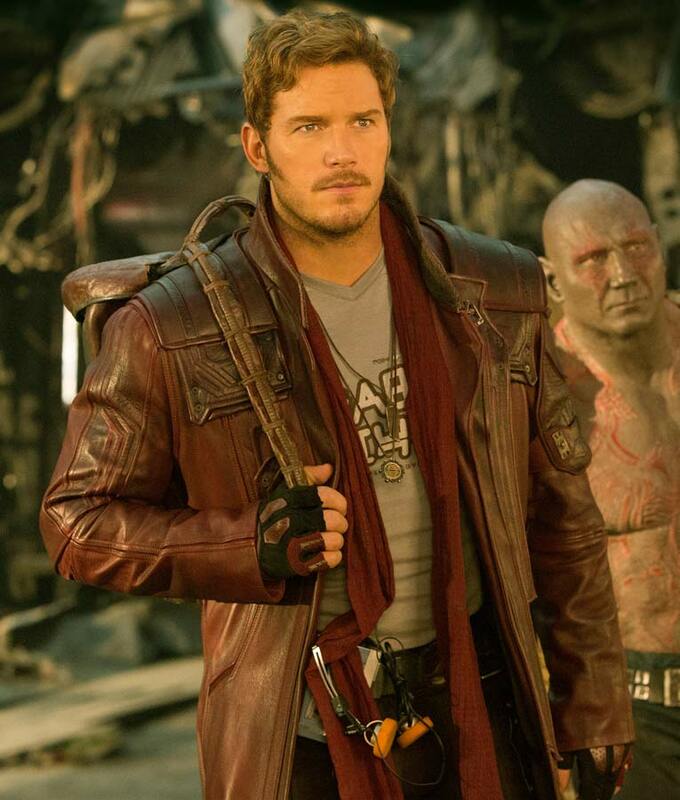 Chris Pratt starring as Peter Quill, is the Star Lord in the Guardians of the Galaxy Vol 2 film. Unique with all the panache, Peter is the lead character around whom the whole space fiction revolves. He is seen wearing a maroon colored coat ensuring his judicious retaliation along with the spirit of friendly admiration towards those with a sincere and secretive disposition. The complete Star Lord Coat attire is built with authentic Real leather material with inner viscose lining and hemline darning at the borders. Seamlessly styled with belted cuffs and a full front zip closure beneath snap-tab flap. Additionally, it comprises couple of outside and inside pockets. 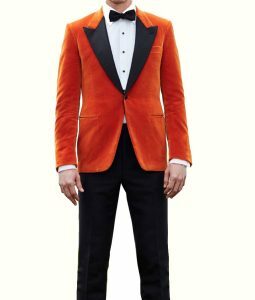 This jacket is gonna rock the road ramps if you’re thinking to buy this for your upcoming cosplay occasions. Admiration guaranteed! 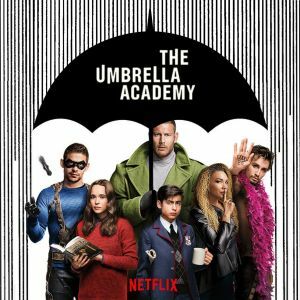 I got this coat to wear on the night I go to watch movie. I received my parcel today right on the day the promised me to deliver. So one star for the delivery. The details on the coat is nicely done with neat finishing. No sign of threads coming out of it and it was exactly as pictured like the color and the detailed lines all over the coat. One star for it. 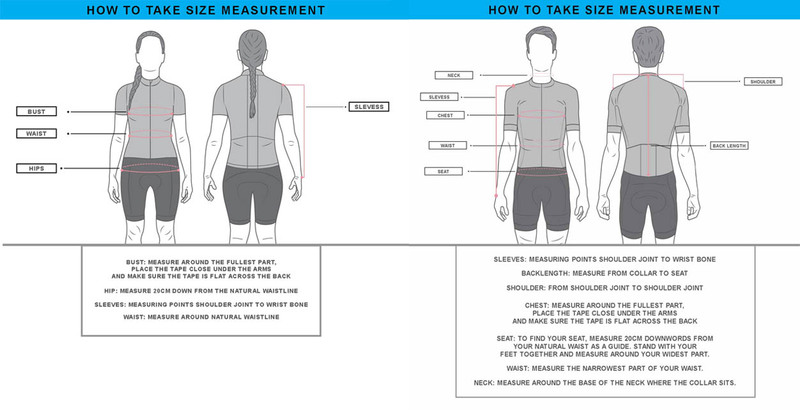 Sizing is an important issue when getting a coat online. I ordered the coat is size large. I have muscular body, broad shoulders and trained chest with wings. It was okay with the body but the biceps are little tight to pull. The length of the coat is okay. The edge lies 2” lower to my knee. I’m 6ft tall. One star for the sizing. I happy to pay that amount to the seller. The quality can be seen in the picture and you will be amazed to touch it when it arrives. It’s real leather (the smell says it all). Not too heavy neither too thin, this jacket is highly insulated so it could be worn in winters as well. Last star is for the accuracy, the way they built this coat is truly an outstanding work. I’m satisfied with the services and the customer support team was very active to reply all my questions. You know investing money brings many questions in mind and they efficiently replied to everything. 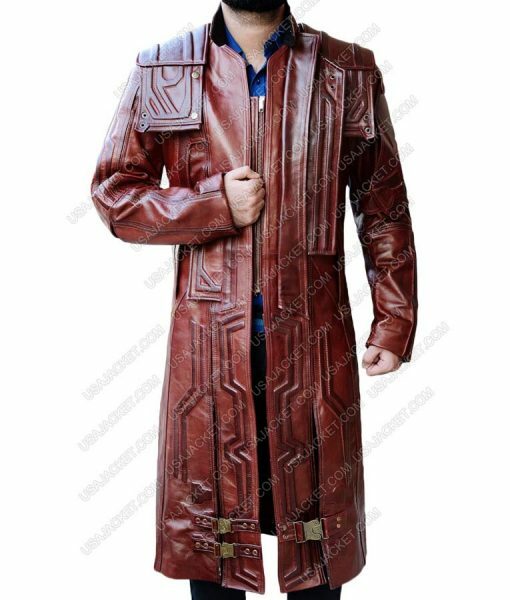 Over all, a nice Guardians of the Galaxy coat for Peter Quill fans. I will definitely come back here whenever I will need something exceptional. Recommended! Best coat. Delivered two days late. Quality is good. This coat is exceptional. I wasn’t too sure about the seller but being honest, I’m now completely satisfied with my purchase. 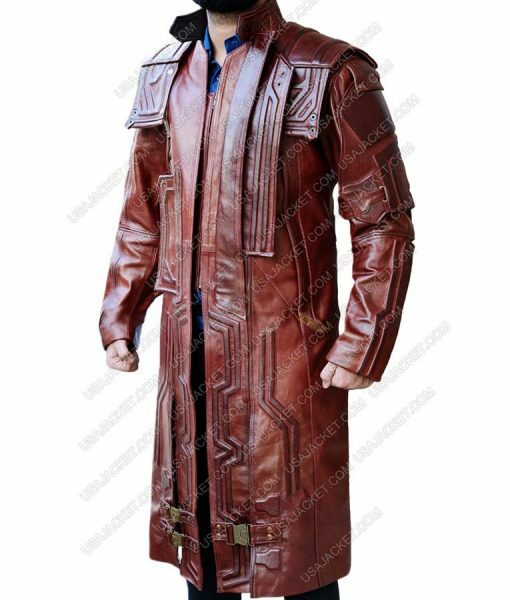 This is the best and only seller making the Star Lord coat with this accuracy so far. My next target is the star lord jacket but have to save for it first. 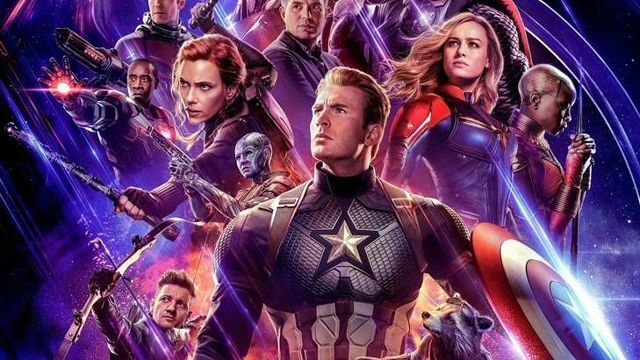 Surely I will buy it before the movie gets out. I genuinely liked this jacket. I placed it for size medium and fits exactly like to the model. The length of the coat is perfect for my 5ft9in height. The length of the sleeves lies on the edge of my wrist. No need for alteration and no thread coming out that shows the quality of craftsman. 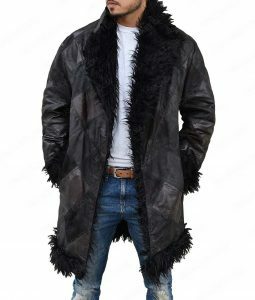 I ordered this coat for expedite shipping that cost me extra $25 and after their quick service, I’m happy to pay them for it. 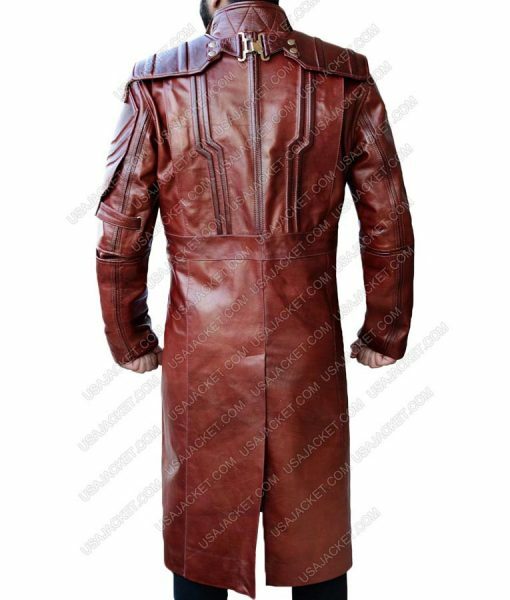 I blush to see this coat hanging in my wardrobe (feels like im Star Lord). Just waiting to get the mask and definitely going to get the jacket from this seller. 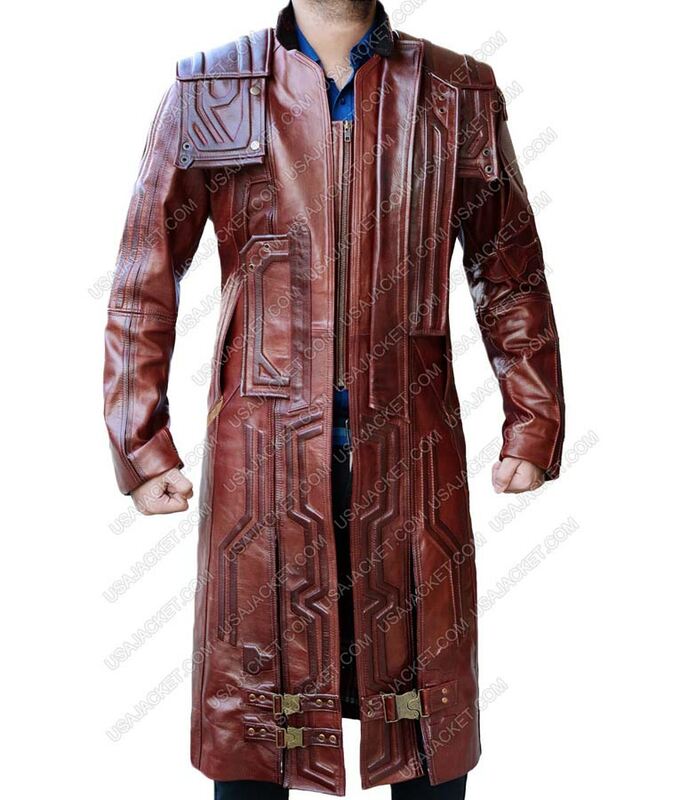 This is a quality Star Lord leather coat. It’s a bit heavy to wear and walk with. Also, this coat is kinda different from the original version that has mostly different details on but trust me, this coat is the best that you can have in the market right now. I will be wearing this on the premier night of Guardians 2. If you have a close look then you will find that there are minor difference in the original and this version of coat. I purchased it in PU leather and it’s pretty light to wear. 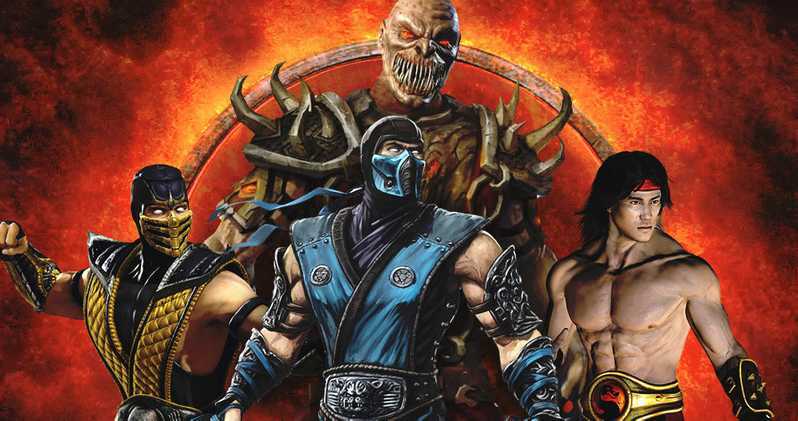 However the details are just fine for Halloween costume wearing. Not making this coat a creepy outfit but still can smash everyone to have a second look to it. I ordered size large, I’m 6ft tall and length is just fine. I’m in love with this coat. I wasn’t too sure of it before I got it but to be honest im completely satisfied with it now. I have had this coat for couple of weeks now. However it’s pretty heavy wear and not that good for normal wear but it’s not bounded just for cosplay even. Stunning and a complete “make me famous already” Guardian Star Lord Outfit that merrily encourages you to go out to massive get up core events. Material wise, leather is superb and I could smell its specific whiff as well. This is so real and remarkable. I adore it and Peter Quill is the best hero men enchantment out there in the interplanetary systems if you ask me. MY PERFECT PERSONIFY FOR THE HALLOWEENS! Woah! I remember last time I went for a part one Star Lord Jacket and that was infused to a great detailed extent. I ordered it from usa jacket again because this has a legit costumer care proceed – the stockings, the talking, the shipment, the doorstep parcel privilege are carefully handled. Moreover, the reviews really help loads when you’re looking for an urgent wear for any upcoming event -especially when it’s October – nothing beat the odds and crowds gathered during this pre-fall celebration among people. The maximum time take between 8-12 days approx and that’s not a long duration. I received this on the 29th of Sep….. got it within two weeks and quality is so rich that my mind was vividly elevated. The Star Lord Coat is a full body cover and the leather isn’t that much heavy when I put this on. The facade might look a bit stiff n sturdy, but the sleeves are made on complete flex patterns. In no means did I meant the front bearing isn’t comfy enough – the inner sleek lining keeps you calmly affluent at all times. I ordered a Medium Size apparently keeping my thinny bony long physique in mind and it turned out to be a great fitting for me. HIGH HOPES for the upcoming Halloweens Seasons!!!!!! I ordered the PU leather version. Arrived in time, about 7 days to Finland. Even though it is PU leather it looks and feels great, thick and heavy like in the movie. The jacket looks exactly as it is in the pictures. Cant think of anything bad to say obout this jacket. Thanks! 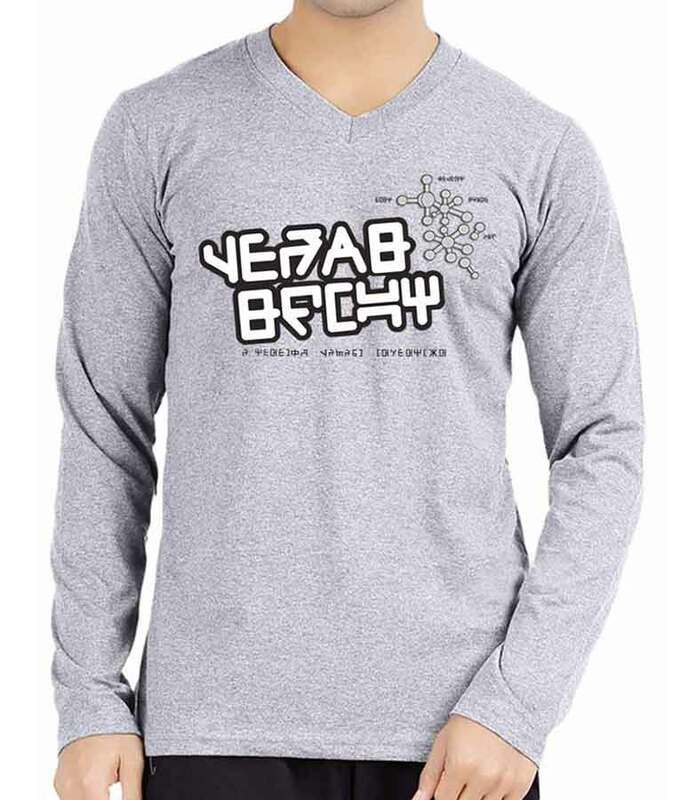 Answered by the admin	According to your shoulders, size XL would be a perfect fit but we will prefer you to order according to your chest size. Thank you so much for your interest in our products.